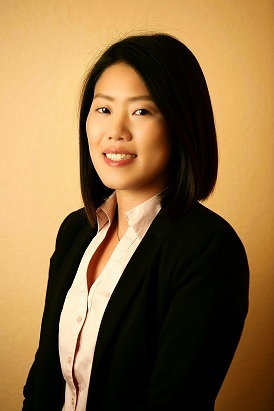 PLANO, Texas - July 13, 2016 - PRLog -- Jackie Ku recently joined RE/MAX DFW Associates' office in Plano/ Stonebriar. Prior to commencing her career as a real estate agent, Ku was a former Senior Sales Operations Manager in the Telecommunications industry. She brings strong leadership, problem-solving, multi-tasking and project management skills to the team. "I am confident with my abilities, I will be the best real estate agent for my clients and I'm eager to start," notes Ku. "I sought after a career in real estate because I enjoying working with people and having the flexibility to create my own schedule," notes Ku. "RE/MAX DFW Associates was my first choice of firm to join because of their well-known brand, access to helpful resources and training. As a new agent, I'm going to take advantage of every opportunity RE/MAX DFW Associates gives to their agents." Blair Taylor, Manager of the Plano/Stonebriar office exclaimed, "Ku is an extremely positive self-starter, who takes initiative. I see great potential in her and I know she is going to do well here at RE/MAX DFW Associates." Originally from Taiwan, Ku moved to the Dallas area 16 years ago and has extensive knowledge of the DFW Metroplex. She speaks both English and Chinese and has a MBA degree from the University of Texas at Dallas. In her spare time she enjoys, camping, singing and being with friends and family. RE/MAX DFW Associates is in its 33rd year of operation and today is the largest RE/MAX franchise in Texas. The firm has seven offices: Coppell, Dallas, Flower Mound, Frisco, Las Colinas, Plano and Willow Bend. The firm's over 330 agents are projected to close $1.75 billion in 2016. RE/MAX DFW Associates is part of the world-wide RE/MAX network in 105 countries and 110,000 agents. For more information, visit the firm's website, www.YourHomeTownPro.com, its Facebook page, facebook.com/RMDFW or on YouTube, youtube.com/rmdfw. Jackie Ku can be contacted at the Plano/Stonebriar office of RE/MAX DFW Associates at 469-438-1383 or via email at Jackie.Ku@rmdfw.com. She can assist with any listing in the North Texas Regional MLS System, as well as any of the firm's active listings, which can be viewed at www.YourHomeTownPro.com.